Much like #MotivationMonday, #FeelGoodFriday is meant to wrap up the busy week with an uplifting thought that will hopefully help JTF followers get a positive start to the weekend. 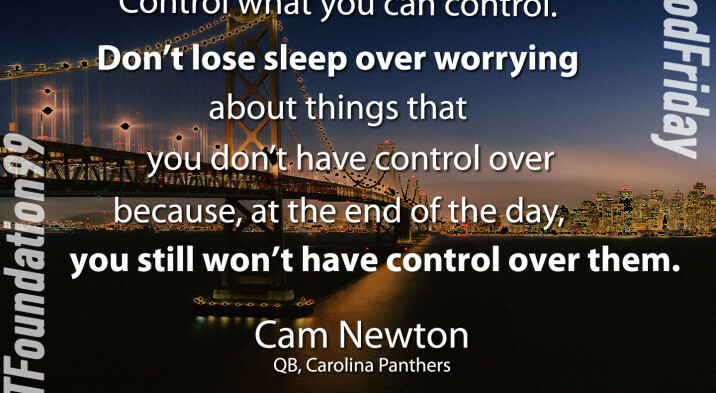 Today’s quote is from Cam Newton, quarterback of the Carolina Panthers. Cam will be participating in Super Bowl 50 this upcoming Sunday, February 7, 2016.